Former Rivers state Governor, Dr. Peter Odili has revealed that he collected N100m from the former Peoples Democratic Party (PDP) national chairman, Dr Adamu Muazu. According to Leadership Newspapers, Odili said the money was for the 2015 elections contact and mobilisation committees of the PDP, adding that other zonal chairmen of the party collected money too. Adding that “I decided to personally sign this rebuttal because over the years, I had ignored various spurious and patently false reports against me because I know that at the fullness of time, the truth would surely prevail. “Consequent upon this, the party, not the former NSA or Yuguda gave the South -South Committee through me, the sum of N100 million along with other zonal Chairmen, in the house of the National Chairman, Dr. Adamu Muazu, for the assignment. “This amount was subsequently disbursed to the relevant party members from the zone for the assignment given by the party. I have the appointment letter and terms of reference, minutes of all the meetings, signatures of all the members and the report of the zonal committee, which was duly submitted to the Party Leader,” the former Governor said. 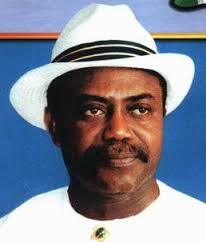 Dr. Peter Odili was the Governor of Rivers State from 1999 to 2007.